The suspected gunman in the fatal Thousand Oaks bar shooting has not been identified yet. Reports suggested a smoke bomb was used. Initial reports still don’t prove this. A Ventura County sheriff’s deputy is among those killed in the Borderline Bar & Grill shooting. Sgt. Ron Helus had been on the force for 29 years and was one of the first officers on the scene in response to 911 calls of shots fired. He was looking to retire next year. FBI is assisting with the investigations. Ventura County Sheriff Geoff Dean has described the scene of the bar shooting in Thousand Oaks, California as horrific and bloody. President Trump was briefed about the event, he tweeted. The above text was updated at 1:27 PM GMT. With this the live posting for this event has concluded. Please read the entire but short blog to know about the events. Most of the shooting happened at the entrance of the Borderline Bar. Eyewitness suggest the gunman did not say anything before he opened fired. 11 civilians killed, 1 police officer and the gunman. This was a college country night. The event was to last for 5 hours. In the last 17 years the United States witnessed over 2000 shootings. Most of these shooting happened because of poor mental health. This year alone had seen 300 shooting crimes. This is the second shooting in 2 weeks of such scale. Eyewitness describe the gunman, he wore a black jacket, glasses and had beard. The identity of the shooter is still to be revealed. The weapon used was a hand gun. Eyewitness suggest people hid in toilets, below tables to protect themselves. Early reports also suggest the gunman sprayed 30 bullets randomly. Thousand Oaks is supposed to be considered the safest place. It’s very unusual for such an event to take place here. 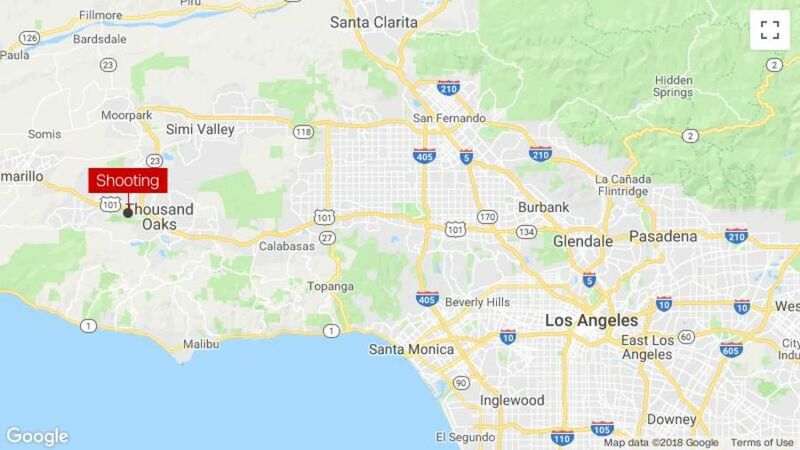 At least twelve people we’re killed in a mass shooting at Borderline Bar & Grill in Thousand Oaks, California. The gunman is suspected to be dead. Over a dozen people we’re injured. Eyewitness claimed shooter opened fired at the bar. A police officer was was among the 12 people that we’re killed. Reports suggest he was the sheriff’s deputy. This was a college bar, it attracted yound crowds.